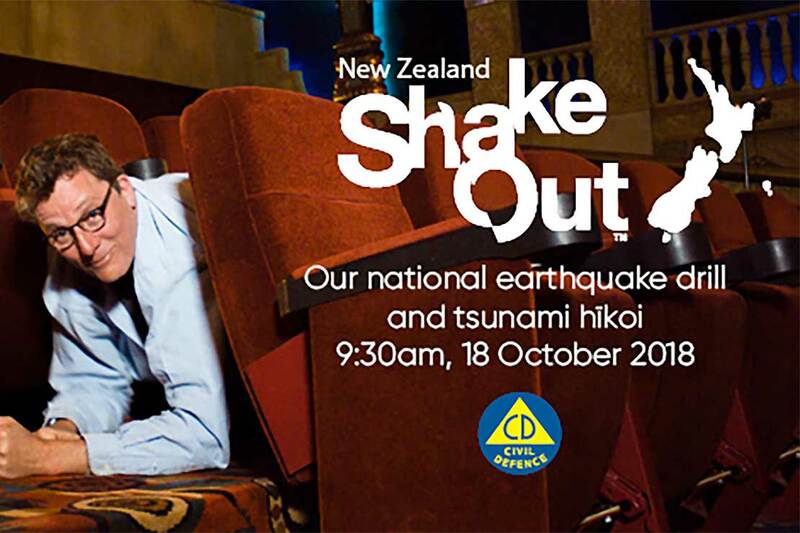 Massey University is set to yet again take part in the New Zealand ShakeOut, a national earthquake drill and tsunami hīkoi (evacuation), next month. The University is expected to be one of hundreds of organisations to participate in the drill, which was last held in 2015 with more than 1.34 million participants. The drill will take place at 9.30am on Thursday, October 18. Deputy Vice-Chancellor Operations Stuart Morriss is encouraging all staff and students to take part. “Participation in the drill is easy and simply requires us to drop, cover and hold for up to one minute. But this simple exercise reinforces an important message: what to do should an earthquake hit, which is all too common in New Zealand,” he says. Download an Outlook Calendar appointment for the drill. A video produced by Massey illustrates how to safely drop, cover and hold in a variety of University-specific settings. For staff teaching or leading a meeting during the drill, a PowerPoint presentation is available to help facilitate participation. Mr Morriss says the drill also provides the opportunity to remind staff and students that printed coloured flip-charts, which are available on all campuses and online, contain useful information about what actions to take in common emergencies. To date, more than 600,000 participants in New Zealand and more than 17.1 million worldwide have registered to participate in next month’s drill. For more information about the University’s participation in this year’s drill, visit massey.ac.nz/shakeout.